Clenching bags of colored powder, the children darted around the field, blasting each other with pigment. The campers made a canvas of their friends and counselors, dusting them head to toe before bringing out water guns to soak them. Yet, as competitive as the color war got, it was nothing compared to the battles these children have faced in their short lives. 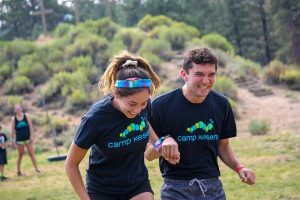 Camp Kesem is a week-long summer camp run by college students dedicated to serving children whose parents have cancer — a unique population the organization estimates to be more than 5 million boys and girls. 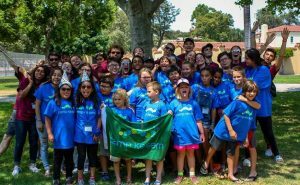 Founded in 2000 by Stanford University students, Camp Kesem was designed to bring together children facing similar challenges and provide them with a community of support and understanding. They opened it up to campers between 6 and 18 whose parent or guardian was fighting cancer, or had previously dealt with the disease. Their nonprofit model relied on fundraising in order to host an overnight camp completely free of cost to participating families. 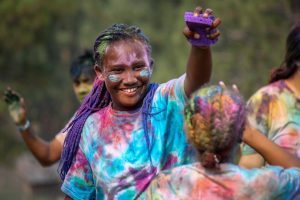 After successfully leading 37 campers their first summer, the Stanford students expanded their project into the national foundation Kesem in order to promote the camp at schools across the country. 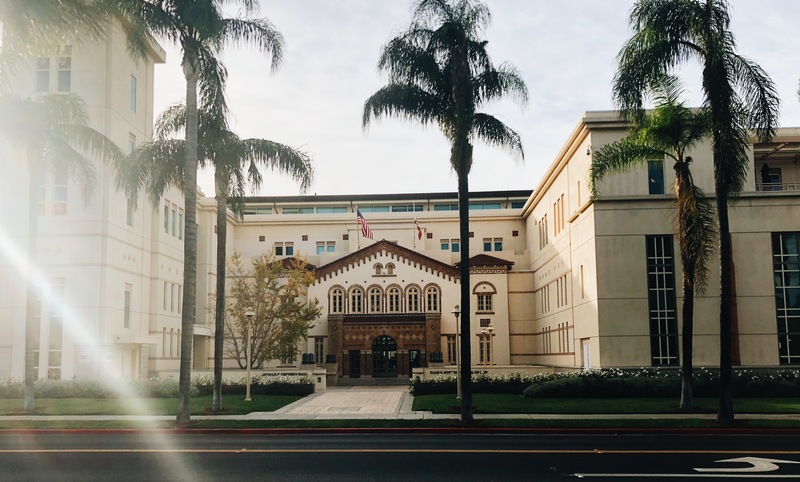 Since its launch 18 years ago, Kesem now has active chapters on more than 115 college campuses, Chapman’s being one of its newest. Although Chapman Kesem hosted its inaugural summer camp just months ago, founder Mitchell Rosenberg was anticipating it before he even set foot on campus in 2015. His vision to bring the camp to Chapman was rooted back in his childhood, when he wishes he had something like Kesem to fall back on. “To hear at the age of 11, that my rock, my father, had cancer — it changed my world forever. I was confused, alone and had nowhere to turn,” Rosenberg said. He didn’t find out about Kesem until his older sister joined the chapter at the University of California, Berkeley. After hearing what a life-changing experience it was for her, Rosenberg, still in high school, was determined to get involved no matter where he went to college. As a freshman living in the dorms, Rosenberg turned to his roommates for help in the early phases of development. 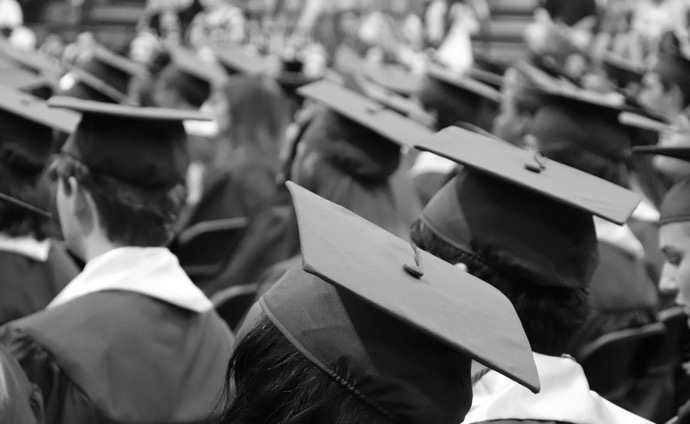 Although he was ready to hit the ground running, he would first have to come up with $40,000, the initial funding required to start a chapter. After receiving the funds from Scare to Care founders Tim and Vernon Shaw, Rosenberg still had to put in another year’s worth of work before he could bring the chapter to life on campus. Finally last fall, Kesem became an active student organization. Working mostly independently up until then, Rosenberg was ready to start recruiting other students for his leadership team. He needed to fill 15 coordinator positions with students willing to help him run every aspect of the chapter, from planning the camp schedule to managing the finances. Once the leadership team was established, the chapter still needed to find additional students to serve as counselors. 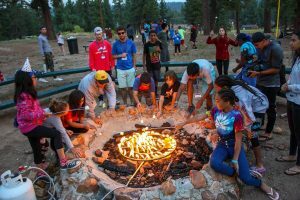 While having a parent with cancer is not a prerequisite for volunteers as it is for campers, many students are drawn to the organization for that very reason: Kesem reports 80 percent of its counselors are impacted by the disease. With her mother, aunt and cousin all going through cancer, and a passion for working with children, Isa Basche saw Camp Kesem as the ideal opportunity for service. 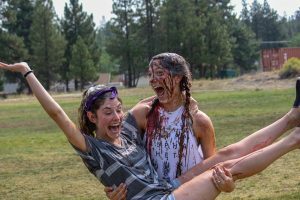 After joining the chapter in the final week of last semester, Basche jumped right into summer camp with an open mind and expectations that would be surpassed. 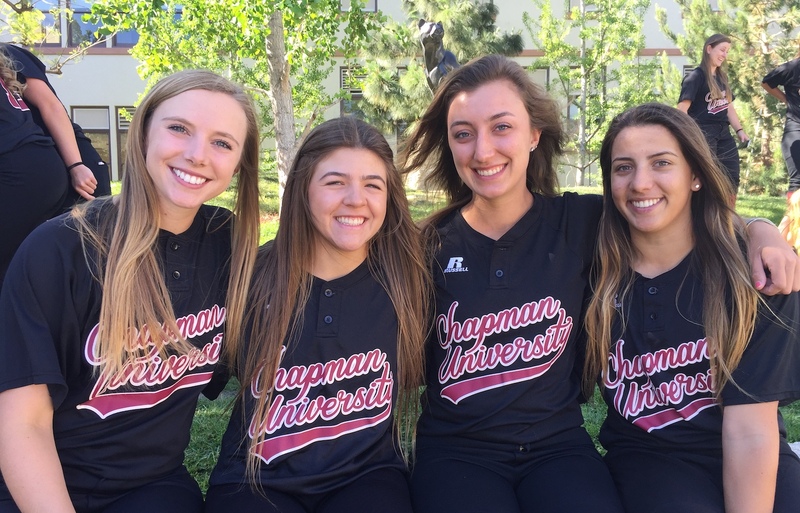 On Aug. 6, Chapman Kesem and its 30 campers set off to the Big Bear Lake Christian Conference Center for a week many of them would later consider one of the best of their lives. With the campers split up by age groups, Basche was assigned to the 11-and-under purple unit, made up of five girls who she quickly grew close to. While she had a blast during the daily activities, Basche says the most memorable part of camp came on Wednesday night. This session, called Empowerment, aims to spark a discussion among the campers about what brought them to Kesem. 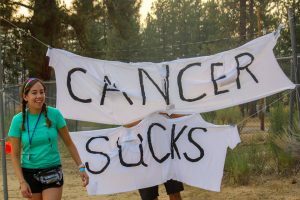 Though they try not to focus too much on cancer throughout the week, during this time, leaders encourage campers to share their personal stories with the group. “People underestimate how smart kids are. During Empowerment, I realized how capable they are of articulating their feelings — why they’re afraid, or why they’re scared, or why they’re angry and how that makes them feel,” Basche said. 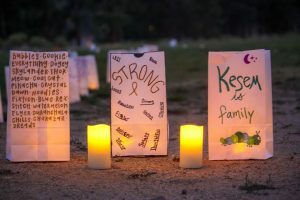 As they sat in a circle surrounded by the luminaries they created, emotions ran high as campers opened up about the journey that brought them to Kesem. Following the ceremony, the counselors lightened the mood with a night full of activities. This moment among many others stuck with Basche, who fell in love with Kesem during her week at camp. Left wanting more, she applied to be on the leadership team for the upcoming year. Basche is now one of two volunteer coordinators, working alongside Chloe Rosichan to recruit counselors for next summer’s camp. As part of the leadership team, Basche and Rosichan attend meetings each week and devote 10 to 12 hours of their time to Kesem. While most of the previous coordinators were brand new to the organization, everyone on this year’s team attended camp last year, bringing a level of experience Rosenberg said has been key to their success. To further develop the team and branch outside of their chapter, eight coordinators had the opportunity to attend the Kesem National Leadership Summit last month. Operations Coordinator Kevin O’Connor traveled to Columbus, Ohio to attend the conference, along with more than 600 student leaders from chapters nationwide. In the downtime between training and information sessions, the leaders connected through bonding activities within and outside of their chapters. On the first night, they participated in a talent show, which Chapman took home first place with its performance. The group practiced the routine for hours on the nights leading up to the show, adding to their weekly Kesem time commitment. Although it can sometimes be a lot to juggle with school and other responsibilities, Rosenberg says the time the team spends together is often constructive. “I think why our organization is so successful is we’re not just workaholics. We’ve built this family and are all so connected,” Rosenberg said. One way Kesem emphasizes the family environment is through the use of camp names. Everyone involved across the nation, even donors and campers’ parents, pick quirky nicknames to go by during all Kesem events. 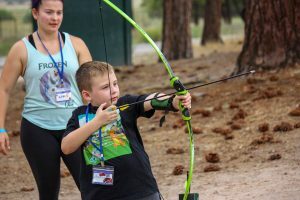 “Using camp names brings you into a different environment and adds to the spirit of what we’re trying to do, which is take the kids out of their normal worlds and give them a week to escape,” Rosenberg, who goes by Moose, said. Even though student leaders know each other’s real names, they often call each other by their camp names at school anyway. Reilly explains the story behind her nickname Shoo. “Growing up, my brother and I were both camp counselors over the summer in our hometown, and there he was given the nickname Sock. But he wanted to be cool and spell it Soq, so I just decided I would be Shoe but spell it Shoo, and that stuck with me for Kesem too,” Reilly said. With years of fond memories from summer camp, Reilly was naturally drawn to Kesem, applying to be a counselor after hearing about the program in March. But more so than her hometown camp, Reilly felt Kesem would effectively serve as an outlet for processing her own father’s cancer. Though sometimes the situation is too emotional to actually talk about, Reilly finds comfort simply in being surrounded by people who show her so much love. While no one in O’Connor’s immediate family has been diagnosed with cancer, he was still able to embrace a mentorship role like Reilly. Although they are still months away from next summer’s camp, O’Connor and the coordinator team are already gearing up for a week he says is completely worth the work they put in. As it takes about $1,000 to send one child to camp and provide additional year-round support, the team is continuously fundraising to make their goal of fielding 35 campers possible. They have already raised more than $20,000 in donations through campaigns like Giving Tuesday, and they’ll look to reach their target when they host the Make the Magic gala in the spring. Rosenberg, the chapter’s top individual fundraiser, is doing everything he can to make his second, and final, camp even more successful than the first. After graduating in the spring, Rosenberg intends to stay involved with Kesem for years to come, with hopes of one day becoming an alumni ambassador on the national level. He plans to start by serving on Chapman’s advisory board next year to help his successors transition into their roles. Whether or not students have a personal story that draws them to Kesem, Rosenberg encourages students to get involved — and to be prepared for a life-changing experience. 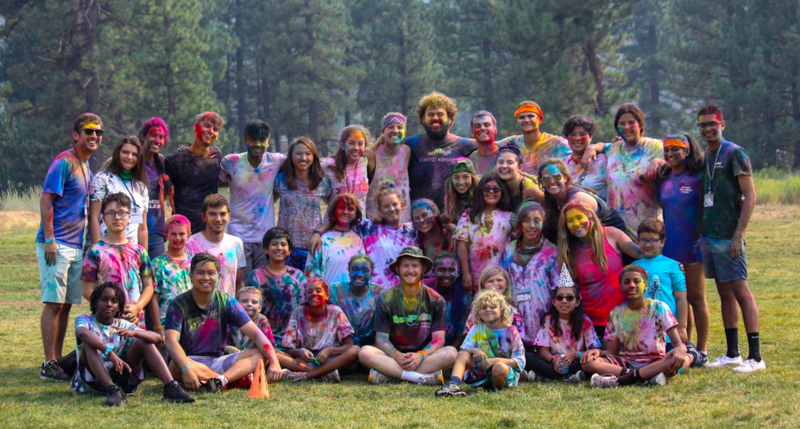 Watch to hear more about how Camp Kesem serves families affected by cancer.